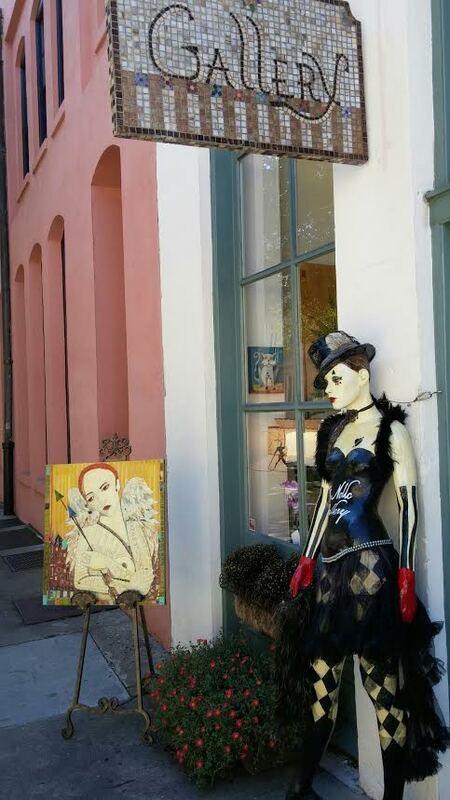 In downtown Charleston there are a ton of art galleries and antique stores. I didn’t get to go into too many of them though. Maybe next time. However, I did notice there are not a lot of touristy tee shirt shops like you see on Bourbon Street in New Orleans. I really appreciated that. Sure, there were some stands selling tee shirts here and there, but not on every corner. Everything felt original. 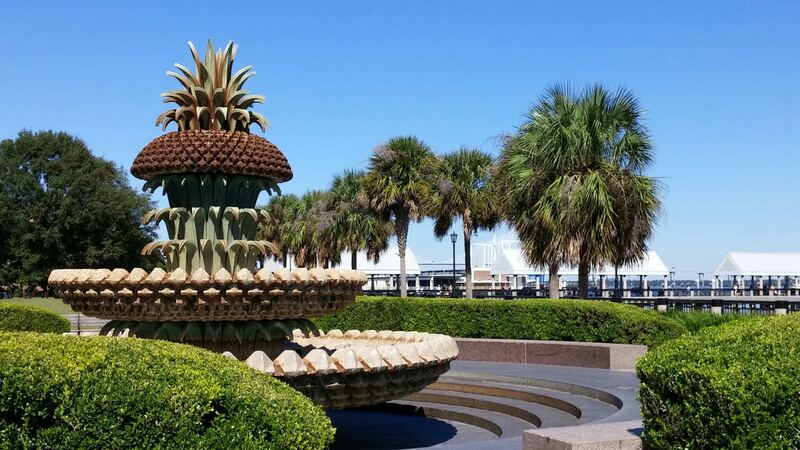 This is a pineapple fountain in a park right on the harbor. The pine apple has long been a Southern symbol of hospitality, rumored to have started when wives would put a pineapple on the porch as a sign to their boyfriends that their husbands were away.